What to Include in King Lear Essays? King Lear is surely one of Shakespeare’s greatest and most famous literary works of the ages. The way the readers and audiences respond to King Lear varies greatly and is definitely the most interesting point about it. This tragedy with all its complexity is a masterful mix of complicated themes and characters; it involves a sophisticated plot and strong emotions. All this should be included in your King Lear Essay. You may write about many things in your essay. You can start with the most important things of King Lear just as any introduction to an essay starts. Here, the characters, the plot, the themes and the issues, which it raises, can be discussed. You may add various interpretations of readers and audiences too. Concerning the length of the essay, it can be any. Shakespeare’s King Lear has many themes (nature, insanity, justice, introspection and love) that can be related to in all times. These suggested themes can be applied to everyone irrespective of religion, culture and the era. Everyone who reads the play can find something that they can relate to themselves. Your King Lear Essay may contain other themes, which may be found in the play, such as fate, greed, the lust for power and cruelty. It is still a subject of discussion whether Shakespeare created characters with intention. They are extremely complex, but vague concerning detail. The opinions on that are divided: some critics consider that this was done purposely, whereas others consider it just a structural flaw in Shakespeare’s writing. Especially this vagueness can be seen in one of the characters in the play, Cordelia. The character of the fool also represents this vagueness. The disappearance of the fool is another matter of long debate. Some critics consider it to be a careless error, while the others tend to think that it is the intention to create a mystery. The use of emotions must also be discussed in King Lear Essays. The complexity of the characters is conveyed with the help of these emotions. King Lear is a mix of extreme emotions that’s why it’s difficult to get a clear picture of any character. They are depicted differently accordingly to the different themes of the play. The greatest thing about King Lear is that anyone can find what they are looking for in it. The way this play got so many various interpretations from all those who saw or read it must be reflected in King Lear Essays. That’s definitely one of the most important things that should be incorporated in your essay. The same person at the age of 16 and being 30 would see this play in completely different perspective. As the person changes with time, exactly in the same way his/her interpretations undergo changes. 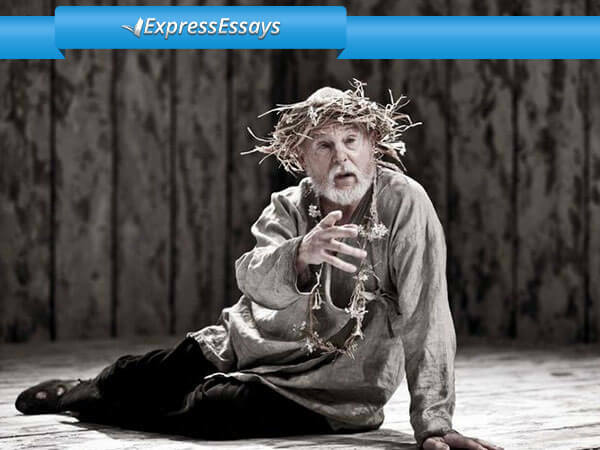 The proper analysis and study of the play are required in essays on King Lear. You are always able to order an essay if you think you need help.